Is DIY Lip Plumping a Bad Idea? It is no secret that women want full and plump lips. Whether it is teen who wants to gain that “pouty lip” appearance or an aging adult who wants to reclaim the lip volume that was lost over time, full lips are undoubtedly a desirable trait. 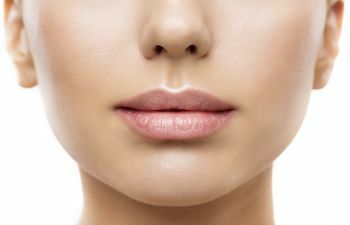 In fact, plump lips are considered a sign of youth and sensuality. This has led many women to turn to Do-It-Yourself Lip Plumping tactics. Unfortunately, relying on YouTube or other Internet sites to guide you through your lip plumping treatment can not only be ineffective, but it can be quite dangerous too. Young teens seem to be the most vulnerable to getting “sucked in” to the latest DIY lip plumbing trends. One of the most common at-home techniques originated from a Kylie Jenner challenge and involves holding a shot glass over the lips and inhaling to create a strong amount of suction or pressure. However, rather than attractive, pouty lips, many girls end up with unsightly bruising and bleeding around the mouth. Another frequently seen tactic encourages women to use cinnamon and cayenne pepper to make an “all natural” lip balm. Essentially, these strong spices are only irritating the delicate lip tissues and causing a darker color and swelling. These treatments essentially rely on harming the lips to create better lip volume. Simply put, DIY lip plumping is a bad and potentially dangerous idea. There are many other solutions that can safely increase your lip volume. At Beverly Hills Center for Facial Plastic & Laser Surgery, we have a full menu of options to help you attain more attractive lips, including non-surgical and surgical methods. If you want to avoid surgical implants or fat grafting to plump your lips, there are other non-invasive and painless ways to reach your goals. Some women can get the look they want by simply using strategic makeup application. Others may want to invest in a lip filler. To yourself a favor and don’t buy in to the DIY lip plumping methods. It’s not worth the pain, the risk and the poor results! Call Dr. Talei to discuss your options today.